Last edited by CofR; 02-07-2018 at 03:57 PM. Anyone else have the twitter things quit loading today? I can click the links and it will then show me tweet. Yup, some work, some don't. Last edited by troutman; 05-31-2018 at 11:09 AM. I'm sorry for bringing this up here, but I thought it was best suited. Whenever someone posts a twitter link, and I click on it on my phone via chrome, it says "sorry, that page doesnt exist"
I get the same thing. The weird this is if I'm not logged in they work fine. They don't show up properly on my PC either (using Chrome) but clicking on them works. For those who use Firefox and embeded tweets don't show up, this worked for me. In the address bar, click on the shield and turn off tracking protection for this site(and any others they don't work for). I can't see any tweets on my android tablet using the stock explorer, do I need to do anything different? Depending on the version of Android your tablet runs on, you may not be getting updates to your internet browser to see things properly. Also, make sure you're using something like Chrome to browse the internet on the tablet. Embedded tweets weren't working on one of my PCs. 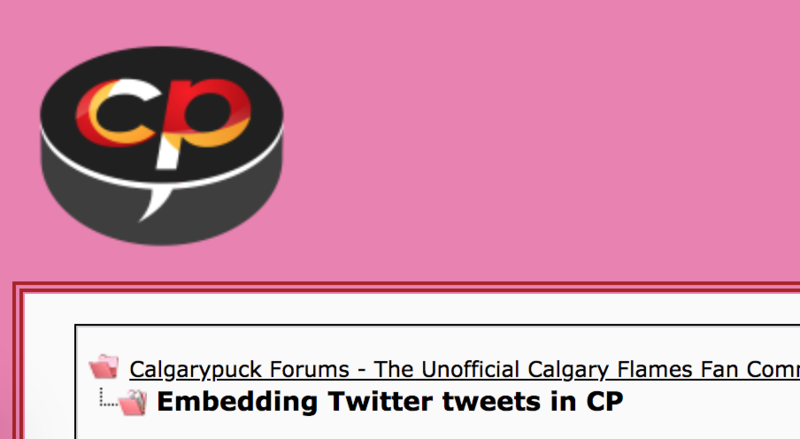 Also the background for CP was pink...But I reinstalled chrome and everything is back to normal. Sorry for the late bump... but I'm so glad you posted this. Haha I honestly thought the same thing until I went onto another PC and CP was looking normal.